1- Geno Smith, QB, West Virginia- Smith may not be a perfect prospect, and he isn’t on the same level as Andrew Luck or Robert Griffin III from a year ago, but he’s got the most upside of any QB in this class in my opinion. He’s got room to improve, but he has the size, arm strength, accuracy and work ethic to improve. He’s not ready to start Day 1, but I say that about a lot of rookies. However, despite the number of rare QB’s in last year’s draft (Luck, RGIII and Russell Wilson especially) Smith is not prepared to start Day 1 in my estimation. I don’t have a scouting report on him yet, but I’ll have one up after the bowl season is over most likely. For a brief summation of his season his season, click here. 3- Ryan Nassib, QB, Syracuse- This might seem strange, especially since I haven’t talked about Nassib much this year, but I really liked what I saw when I caught up on my Syracuse film this past week. He isn’t a 1st round pick in my opinion, but I think he will end up a Day 2 pick and I could see him going in the 2nd round. He has a live arm, good accuracy, he plays under center, has pretty good footwork, he’s athletic and can buy time in the pocket and can extend the play as well as gain yardage with his legs. He is supposed to be a very tough and competitive kid (according to @dpbrugler) and you can see his toughness as he hangs in to make throws in the face of pressure even when he knows he’s going to take a big shot. There’s a lot to like here, and even though I’m late to the party I have to admit I like what I am seeing. Coming into the season I definitely didn’t expect to project him as a Day 2 pick, but he looks like a NFL starter to me. I’ll have a report on him up shortly. 4- Mike Glennon, QB, North Carolina State- I’m not a huge Glennon fan but there is plenty to like with him. 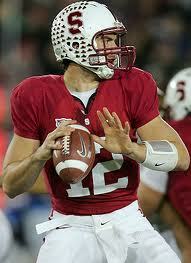 He has the size and arm strength you want, but he needs functional space which limits him as a passer. He’s not at his best in a muddied pocket, but he has experience in a pro-style offense, and has FLASHED the ability to make throws with a defender in his face. I don’t think he’s going to be a great quarterback, but I think he can be an effective NFL starter behind a quality offensive line with talent around him. He’s not going to carry your team, but he’s not going to be the reason you lose either. 5- Zac Dysert, QB, Miami (OH)- I’m not as big a fan of Dysert as some are, but I haven’t watched enough of him to have a great feel for his game yet so I am trying to withhold judgement. He does have a NFL arm however and he throws a surprisingly good deep ball which I did not expect before I started watching the tape that I do have on him. He figures to be a near lock to be at either the Senior Bowl or the East West Shrine Game so I am really looking forward to being able to see him in person. 6- Matt Barkley, QB, Southern California- I never thought I’d have Barkley outside of my top 5, nor did I think I’d have Ryan Nassib above him on my rankings, but here we are. Barkley’s arm strength, questionable reads and decision making have a lot to do with why he has dropped this far down my rankings, and unfortunately I feel that his unbelievable finish to the season last year was about as good as it gets for Barkley as a quarterback, and the rest of his career is what we can expect from him at the next level. He does a great job of anticipating throws, he’s very smart, but at times he seems to make a pre-snap read and make his throw based entirely off what he saw pre-snap and not off of what transpires after the ball is snapped. That leads to some head-scratching decisions, and that is something that has been pretty consistent through his entire four year career at USC. Beyond that, his arm strength is still a serious question mark and I highlighted that before the season and not much has changed in my opinion. He doesn’t have good arm strength, he is elevated by the talent around him, and his questionable decision making concerns me as well. I hate to seemingly jump off the bandwagon, but it’s hard for me to rationalize picking him in the 1st round when I just don’t see a game-changing quarterback when I watch him. 7- Aaron Murray, QB, Georgia*- I personally think Murray should come back for his senior season, but if he chooses to declare I think he could go Day 2. I personally wouldn’t pick him until round 3 because as much as I want to like him there are parts of his game that just bothers me. Part of that is the stigma that he “can’t win the big game” but I think he could prove that false if he came back for his senior season which is part of the reason why I want him to come back. We’ll see what he chooses to do, but I hope to see him back at UGA in 2013. 8- Tyler Bray, QB, Tennessee*- Bray has officially declared which isn’t surprising since his head coach got fired and both of his talented junior wide receivers had either declared or were leaning towards going pro. Bray is an extremely talented kid with a Jay Cutler-esque arm but he also has terrible mechanics, makes questionable reads and decisions frequently, and reportedly has some attitude and character red flags. I can’t confirm anything right now, but don’t be surprised if you hear some problematic things about Bray’s work ethic and demeanor in the coming months. He has 1st round talent, but I think he will likely end up on Day 2. I want to like Bray because of his unreal arm talent, but there are too many on and off field question marks for me to advocate a franchise tying their future to him with a high draft pick. He needs to land in an ideal situation where he can develop and mature behind a quality NFL QB much like Ryan Mallett is doing in New England now for him to have any chance at living up to his potential. 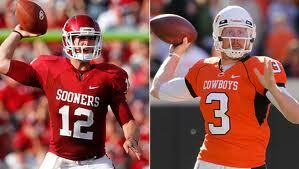 9- Landry Jones, QB, Oklahoma- I am not a Landry Jones fan and am on record as projecting him to go in the 4th round. With a good performance against Texas A&M in Oklahoma’s bowl game and a good showing at either the Senior Bowl or the Shrine Game Jones could elevate his stock a bit, but on film I haven’t been impressed with him for the past two years at least. He’s not a NFL starter in my opinion, and picking him on Day 2 makes no sense to me. 10- Matt Scott, QB, Arizona- Scott only has one year of tape to watch, and playing in Rich Rod’s system certainly doesn’t do a lot to prepare QB’s for the NFL from a schematic perspective. However, he has adequate arm strength, solid (but a little inconsistent) accuracy, legitimate athleticism and a knack for making plays when his team needs him. I think his game reminds me a little bit of Colin Kaepernick in terms of style and elevating the play of his teammates. 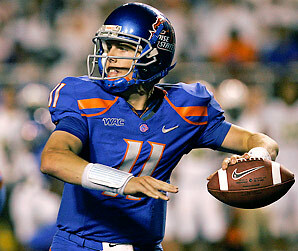 They both played in a system that doesn’t (or didn’t used to) project very well to the NFL, but Matt Scott’s upset of USC, amazing comeback in the New Mexico Bowl, and near upset of Stanford earlier in the season reminded me of Kaepernick’s senior season at Nevada that included a classic upset of Boise State. Their games aren’t identical and this isn’t an attempt to say Scott will be the next Kaepernick at all, but I think he has developmental potential and in that way he is similar to Kaepernick even if he doesn’t have the rocket arm that Kaepernick possesses. 11- EJ Manuel, QB, Florida State- I don’t see any reason Manuel should go in the top 100 selections. He’s very overrated and if you’ve paid attention to FSU the last two years you would know that even though he has all the upside you could want thanks to his size and athleticism he is maddeningly inconsistent and just doesn’t get it from a mental standpoint. 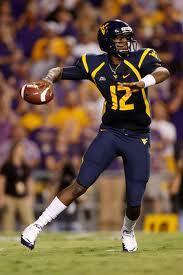 He’s not a NFL starter and will just be a tease because of his size and athletic ability much like Terrelle Pryor. He’s more advanced than Pryor, but neither is fit to be a NFL starter. 12- Brad Sorensen, QB, Southern Utah- I haven’t gotten to watch Sorensen much this year, but I didn’t understand the hoopla around him in pre-season which is when I wrote this pre-season report based off of the coaches film I was able to watch of him. He’s a draftable kid with some tools, but he’s a developmental project. 13- Sean Renfree, QB, Duke- I haven’t caught up on Duke footage yet, but he helped lead them to their first bowl game in over a decade and I think he has enough tools to warrant Day 3 consideration. He will be at the East-West Shrine Game and I look forward to being able to scout him in person. 14- Collin Klein, QB, Kansas State- Klein isn’t a popular prospect and there is reason for that, but I think he is going to get Day 3 consideration even though he isn’t your prototypical quarterback. He may not be a NFL starter, but he’s going to stick in the NFL as a QB. He’s got too much leadership capability and toughness not to in my estimation. 15- Ryan Aplin, QB, Arkansas State- Aplin is a favorite of Ben Allbright (@NFLDraftMonster) and he’s a good kid with a pretty good arm despite being undersized. He’s not going to be a high draft pick, but I think he’s got draftable talent and I prefer him to plenty of the late round options here. 16- Nick Florence, QB, Baylor- Florence stepped in and played quite well in his one year as a starter after RGIII left, but he had a bevy of talent at wide receiver to throw to including Terrence Williams and Tevin Reese. He has above-average arm strength, accuracy and he isn’t much taller than 6’1″ but he may have a chance to make it as a 7th round pick or as an undrafted free agent. 17- Seth Doege, QB, Texas Tech- Doege is the next in the line of Texas Tech quarterbacks to put up gaudy numbers, lead a noteworthy upset, and be projected as a 7th round pick or an undrafted free agent because of a lack of size and arm strength. Doege has overcome those criticisms for a long time, but it’s going to be tough to overcome them at the next level. 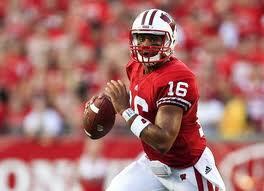 He’s going to be at the Shrine Game as well, so seeing how he throws live will be good for my evaluation of him. 18- Colby Cameron, QB, Louisiana Tech- I’m not a big Cameron fan but he has helped elevate Louisiana Tech into top-25 consideration the past two years and while I personally think he’s going to be an undrafted free agent he has the chance to prove me wrong at the East-West Shrine Game. 19- Matt McGloin, QB, Penn State- I’m not a Matt McGloin fan either but even though he doesn’t have a special arm or much athleticism the leadership and resolve he showed as one of the leaders on Penn State’s roster is worth noting and while it likely won’t lead to him being selected in the NFL Draft it might help him get a spot on a training camp roster next summer. 20- Jordan Rodgers, QB, Vanderbilt- I thought Rodgers might have the potential to be a NFL Draft pick but if he wasn’t related to Aaron I don’t think he would have gotten as much attention as he did for his play. I don’t really see anything special and I don’t think he’s going to be drafted at this point. I still have to watch more tape on him to finish my evaluation, but I’d be surprised if I saw anything that completely changed my mind on him at this point.